There is no denying that vaping has become extremely popular over the last few years. In fact, it has grown so popular that there are many states that are making moves to get it banned because so many kids are vaping. It is unlikely that these states or bodies of government will succeed because vaping has been proven safe than tobacco. So, if you want to get in on this action and take advantage of everything that the vaping market has to offer, you are going to need a combination of entrepreneurial know-how and knowledge of the vape industry. That is exactly what you are going to learn below. It doesn’t matter if you are going to start a vape shop or you are going to start a small cookie business, you are going to need a business plan to get funding. Not only it the business plan important for funding, but it will clearly outline and identify goals and details of your business. A business plan will show that you have clearly researched the market and are ready to tackle the most common obstacles. If you have never written a business plan, you should know that there are a number of vape store business plan templates available online. There are also tutorials that will show you how to design and create a plan from scratch. Vaping is widely accepted by many, but there are still many bodies of law that look down on the practice. As a result, there are tons of regulations, laws, and taxes that can challenge any new vape shop owner. If you want to remain within the confines of the law and keep your shop legally running, you are going to have to familiarize yourself with these regulations and laws. You can do this online or you can visit your local courthouse and get a copy of everything that you need to know. 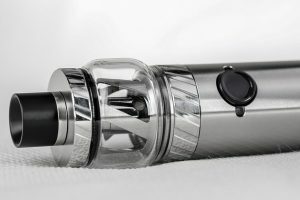 When it comes to vaping there is a wide range of products available. You have everything from the portable vape pens to the e cigarette. The trick is to know which products and brands are trending and will continue to trend. Once again, this is something that can be accomplished online. If you choose to market with the right products your products will literally sell themselves. Starting your very own vape shop isn’t just as simple as going down to the bank and getting a loan. There are going to be other costs associated with opening the business. And, before you even consider opening a vape shop you need to have a firm grasp on the all the costs associated with the business. You are going to have to invest in numerous licenses and permits. You will need insurance, you are going to have to stock your shelves, and you will need to consider the wages of potential employees. All of these things need to be factored against your potential profits.